Happy Sunday everyone! 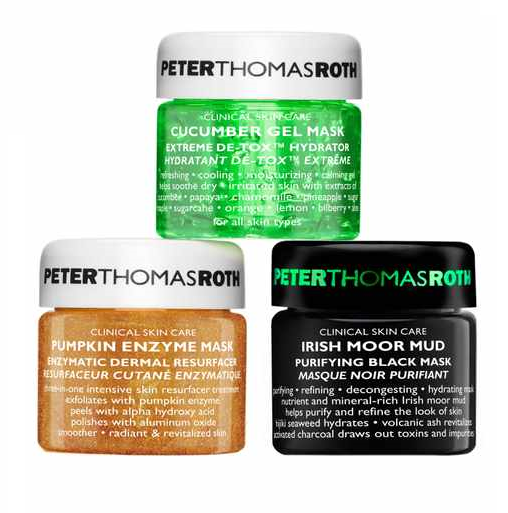 This week there are lots of deals to be had this week in the form of travel kits like this one from Peter Thomas Roth above ($24). It comes with three of his most popular masks in perfect travel sizes so you can try them before you splurge on the full sizes (which are totally worth it by the way!). Sephora also has lots of new try-me kits, including new-to-store brands like Kiehl's and Laneige. 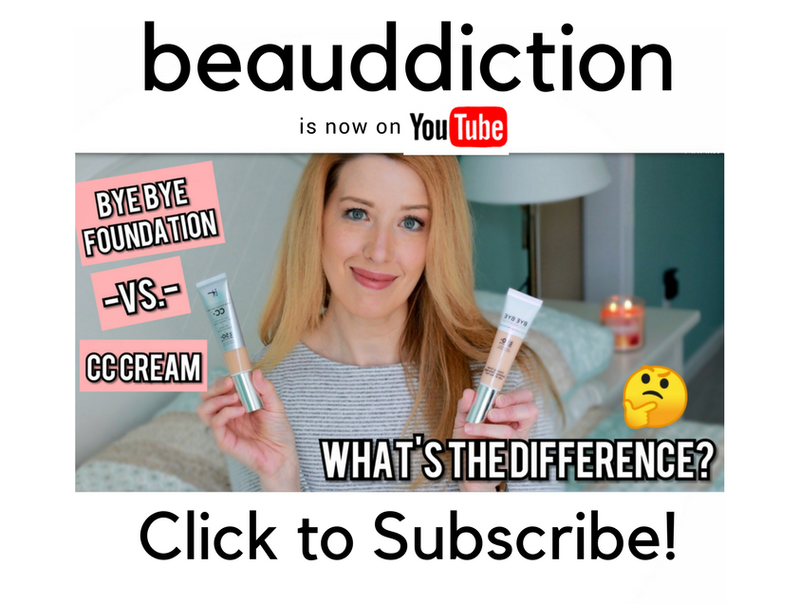 They're all $60 and under and most contain enough products for an entire routine so you can really get a feel for the brand and how the products work together. Kiehl's Skin Care Starter Kit- $52 (I highly recommend this one...I got it last year and it got me hooked on the brand!). 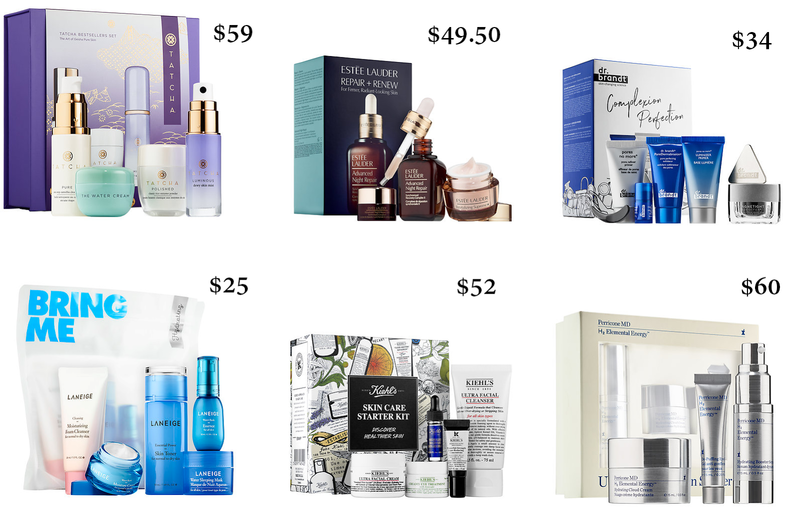 Philosophy has six new kits at various price-points, including the Clear Skin in 3 Days set, Bye Bye Blackheads duo, Miracle Worker Duo, and Goodbye Wrinkles kits. Ulta is now carrying Doctor Lip Bang's Lip Freak Balms in 4 tinted versions and 3 new scents: Pomegranate, Coco-loco Mint, and Psycho Punch. They're all infused with cinnamon essential oil for a buzzy, electric feeling on your lips. 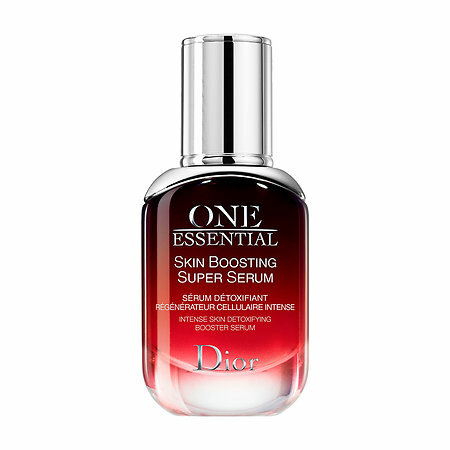 Dior has just launched their new One Essential Skin Boosting Super Serum at Sephora and it's supposed to detoxify your skin from outdoor toxins (sun, pollution) and indoor toxins (carpet, glue, varnishes, and electronic devices). It also boosts the effectiveness of your other skincare products with a superfood cocktail of Vitamin C, Longoza, and Hibiscus. 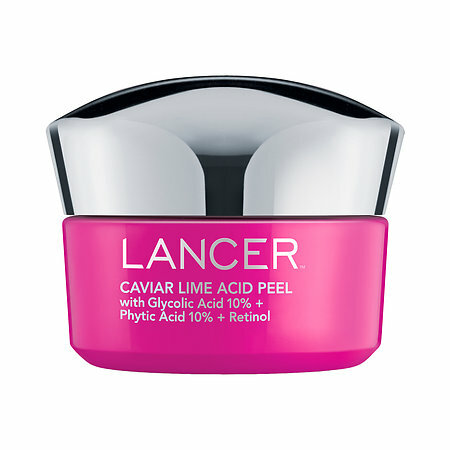 New from Lancer this week is their Caviar Lime Acid Peel. It contains caviar lime (an Australian fruit high in AHA's) and 10% glycolic acid to exfoliate your skin, plus 10% Phytic Acid to brighten and even out your complexion. If that weren't enough, it also contains Retinol to combat the signs of aging (lines, wrinkles, pores). 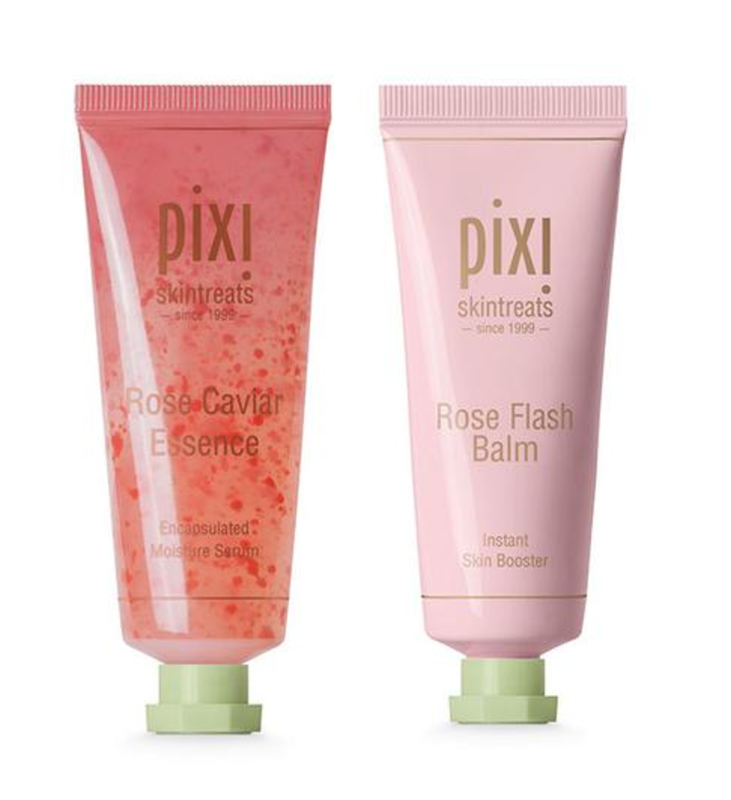 New from Pixi Beauty at Target are the Rose Caviar Essence and Rose Flash Balm. The Rose Flash Balm is a 3-in-1 oil-free Instant Skin Booster that can be used as a mask, moisturizer, and makeup primer and it instantly boosts tired skin for a brighter complexion. The Rose Caviar Essence contains encapsulated flower oils that melt into your skin to deliver fresh botanicals that are rich in antioxidants. It's supposed to hydrate, refine, tone, and restore skin's brightness. 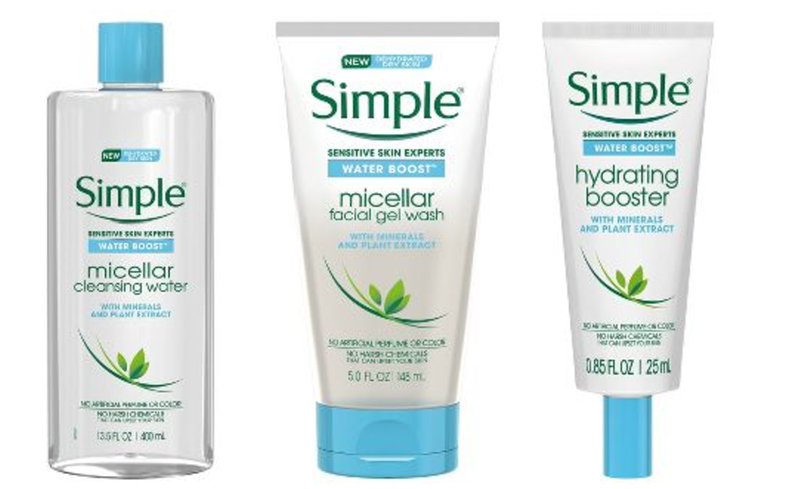 Simple has just released a new Water Boost line, which includes a Micellar Cleansing Water, Micellar Facial Gel Wash, and Hydrating Booster that all contain minerals and plant extracts. All three products are lightweight, yet hydrating for drier skin types. I purchased the Hydrating Booster at Walgreens the other day and it's a water-light gel that can be applied during your skincare routine to add extra moisture or it can be used just before makeup on dry patches. So far it seems to really help get rid of those dehydration lines on my cheeks, but I'm going to keep using it for a little while before I give my final review. Finally, Bumble and Bumble haircare has landed at Ulta this week. I've been amazed at how many brands they've been adding that Sephora also carries...it seems like Ulta wants to take over the beauty world! So that's what's new this week in the world of skincare. Is there anything you have your eye on to try?